Uniform Advantage is proud to announce its partnership with Miss Colorado 2015, who is featured on the cover of its spring 2016 catalog. "I chose to partner with Uniform Advantage because I wanted to be a part of a uniform line that truly took into account how people feel in their scrubs and what they need from them in order to do their jobs,” said Johnson. Uniform Advantage (UA), a nationwide leader in the healthcare apparel industry, is proud to announce a partnership with Miss Colorado, Kelley Johnson, RN to jointly continue to shine a light on the extraordinary roles that nursing professionals fulfill. Johnson, an intensive care registered nurse, showcased her talents and passion for nursing on stage at the Miss America 2016 Pageant by delivering an original monologue inspired by her experiences as a nurse while wearing her own scrubs and stethoscope. Her desire to bring nurses together and give them a greater voice in their communities motivated Uniform Advantage CEO, Susan Masimore, to invite Johnson to form a partnership between the two. The company is thrilled to launch its spring 2016 medical apparel catalog featuring Johnson on its cover and throughout its pages. UA is the only medical apparel company Johnson has partnered with and will appear on the company’s website, marketing campaigns, and provides inside scoop interviews about her passion for the nursing profession and what she hopes to achieve going forward. "I chose to partner with Uniform Advantage because I wanted to be a part of a uniform line that truly took into account how people feel in their scrubs and what they need from them in order to do their jobs,” said Johnson. 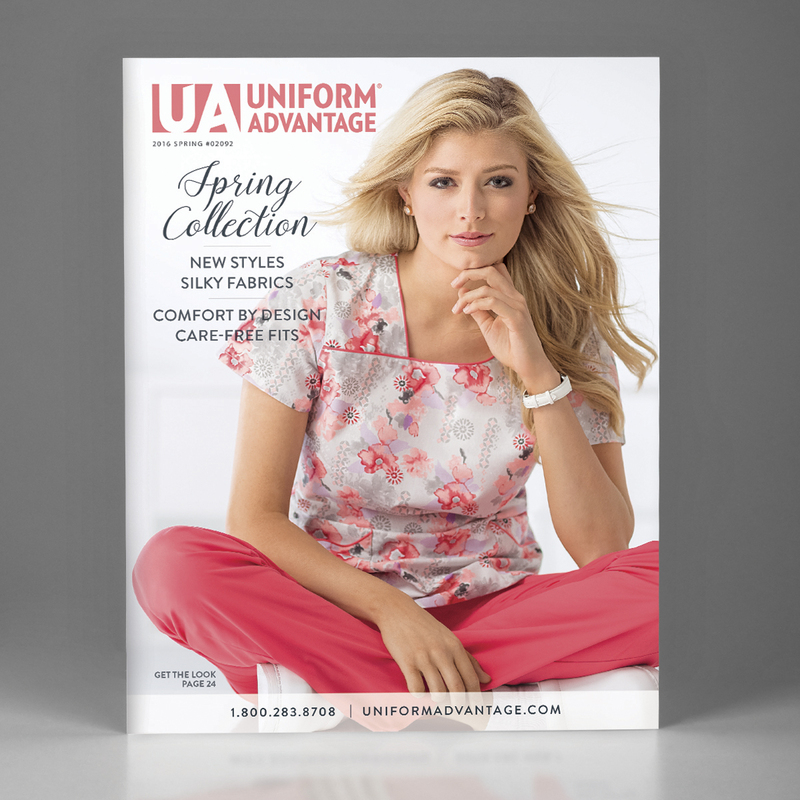 “Uniform Advantage listens to the desires that nurses and healthcare professionals alike have for their uniforms and have turned them into a comfortable, fashionable, and affordable reality. I'm proud to be a part of their new campaign and can't wait to start wearing my UA scrubs at work!" Johnson models the four collections made and sold exclusively by UA in the spring catalog including Butter Soft Scrubs by UA™, Butter-Soft Stretch, Advantage by Butter-Soft, and UA Best Buy scrubs. The UA spring 2016 catalog featuring Johnson can be accessed online as well as additional interviews with Johnson about herself and information about her own favorite UA scrubs at uniformadvantage.com/Kelley. After fulfilling her duties as Miss Colorado, Johnson plans to return to nursing and will be putting the scholarship money she has been awarded through her participation in the Miss Colorado and Miss America programs to good use by pursing her Doctorate in Nursing Practice. Uniform Advantage has represented style, quality and, above all, customer satisfaction for more than 30 years. As the first division of UA Brands, the chain was launched with a single South Florida store in 1985. Today, the company operates 30 retail locations in key markets across the U.S.; e-commerce and print catalog divisions; plus designs and manufactures its own proprietary healthcare apparel lines. The company’s corporate office is based in Plantation, Florida with a distribution center near Atlanta, Georgia. Learn more at http://www.UniformAdvantage.com or by calling 800-283-8708.